In September, Apple announced 13 million new iPhones were sold in the first weekend after launch. Apple’s CEO enthused that the sales of the iPhone 6s and iPhone 6s Plus blew past any previous first weekend sales in the company’s history. He credits the new 3D Touch and Live Photos as sought-after features by consumers. You can now take a mini movie within your still images. By pointing and clicking to take a photo, the new iPhone 6s captures about a second of moving images before and after the photo for a Live Photo that helps you share life’s more spontaneous moments. Meanwhile, the 3D Touch feature enables you to lightly touch your phone to preview an email, or do a hard touch to read it. But despite all the new features and innovations, some users are reporting bugs and glitches. Fortunately, the fixes are relatively easy and can usually be addressed at home. For everything else, the Genius Bar can step in and assist. Here are five iPhone 6s problems and how to fix them. You unpack your sleek new iPhone 6s and are ready to get it up and running. But after you boot up, it’s just stuck on the Apple logo until the screen turns red. Start by doing a hard reset by holding down the sleep and home button at the same time. If the issue continues, try restoring to factory settings and start again from scratch. Still seeing red? Make an appointment at the Genius Bar to determine if there’s another solution or if you need to get a new iPhone. 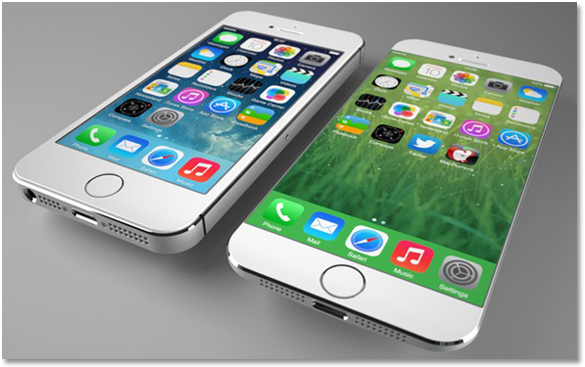 The oversized screen of the iPhone 6 and 6s is appealing to stream movies, snap photos and chat on FaceTime. But when the images and icons are so big you can barely navigate, the size of the screen becomes irrelevant. Fortunately, there’s a relatively easy fix. Hold three of your fingers together and firmly double tap the screen. You can also turn off the zoom feature that may be causing the problem in your settings. Despite all the fun features of the iPhone 6s, it doesn’t do you much good if you can’t hear while making phone calls. First, check that there’s nothing interfering with your speaker or ear piece area. Remove your external iPhone case, turn up your volume and use some compressed air to clean out any unseen debris. If that doesn’t work, go into your settings and turn off and on the VoiceOver feature. If all else fails, rebooting your phone should help resolve the issue. It’s easy to think your iPhone 6s is dying a slow death when it’s not charging or charging so slowly that you have to find a landline. Inspect your phone to look for any damage, and use compressed air around the charging port. Even a little dust can keep your phone from charging properly and may go unnoticed. Ask to borrow a charger and see if that does the trick before updating your iPhone 6s to the latest software or performing a reset. Keep in mind the issue could be with the battery and not the charger. Try changing the power settings on your phone and downgrade to a saving option. Closing out your background applications could also help free up more energy to test if your phone can hold a charge or not.